Kosas The afterglow. A multidimensional peachy hue to create fresh faced youth and luminous beauty. A duo for all over brightening and instant refreshment any time of day or night. Read more..
Kosas sources ingredients for two reasons (extreme nourishment and supreme luxury), and chooses the ones that allow Kosas to be both. All products are gluten, egg, nut, soy and cruelty free. Kosas is free of Parabens, Phthalates, Mineral Oil, Propylene Glycol, Phenoxyethanol, Synthetic Fragrance and is never tested on animals. 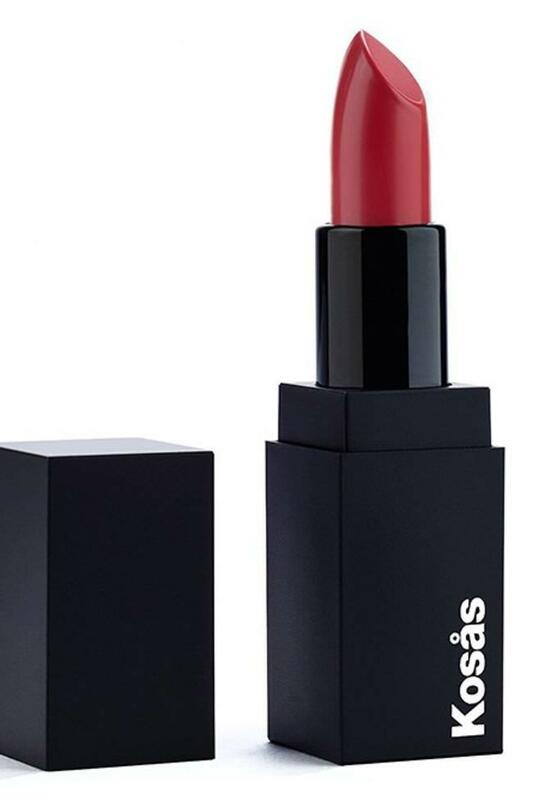 Kosas quintessential red lipstick. Supremely wearable, conce..